The U.K. has officially begun the formal process of leaving the European Union. It promises to be a messy breakup, with wrangling over shared assets, finances and the future of trade. Top EU negotiator, Michel Barnier, has warned that Britain faces severe disruption to air traffic, nuclear fuel shortages and delays in moving goods across the channel if an agreement on Brexit cannot be reached. The EU expects the U.K. to honor existing joint spending commitments even as it walks out the exit door in 2019. EU members pay for infrastructure projects, social programs, scientific research and wages and pensions for EU bureaucrats. The current budget runs until 2020. EU Commission President Jean-Claude Juncker said recently that Britain will need to pay roughly £50 billion ($63 billion) as it leaves. The U.K. has said it will honor its commitments but there's likely to be fierce wrangling over the size of the bill. The battle over money is expected to be one of the thorniest issues that negotiators will address, and may hold up discussion on other items. 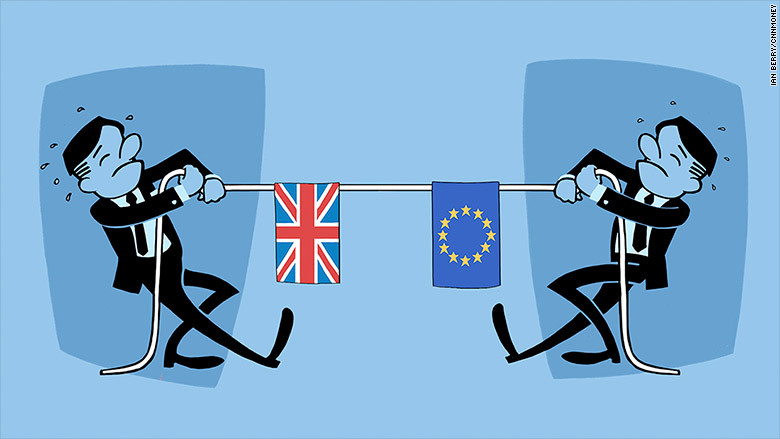 The U.K. and EU only have two years to hammer out a deal on a range of contentious issues. EU rules allow Brits to live and work in any of the 28 member countries. EU citizens can do the same in Britain. That's all set to end once the U.K. lleaves. More than 4 million people will be affected directly. 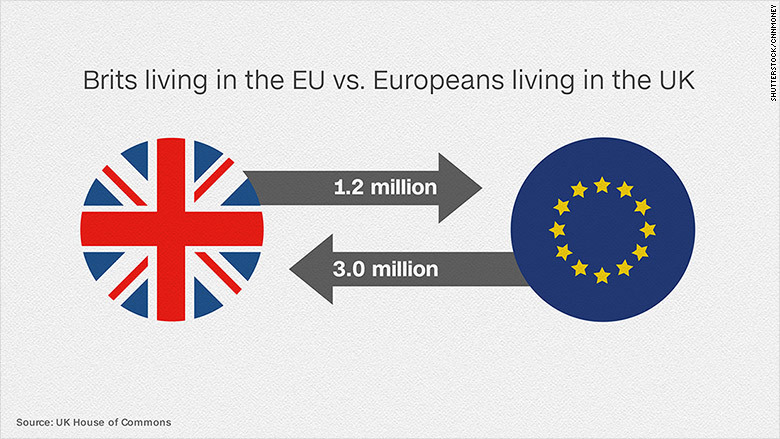 About 3 million people from other EU states live in the U.K., and 1.2 million Brits live in other EU countries. The most likely scenario is an agreement that will let migrants remain in the country of their choosing. But nothing is guaranteed. Some Brits are taking out an insurance policy. They flooded the Republic of Ireland with tens of thousands of passport applications in the months after the June referendum in an effort to keep an EU passport. Germany, Italy, Sweden, Poland and Hungary also reported a surge in interest in the days immediately after the vote. Meanwhile, some EU citizens have been completing a mountain of paperwork to apply for permanent resident status in the U.K.
EU membership allows Britain to sell goods and services across the bloc under a free trade agreement. Brexit puts that all at risk. It's no small matter: The EU is the U.K.'s biggest trading partner, providing a market for 44% of all British exports and supplying 53% of its imports. 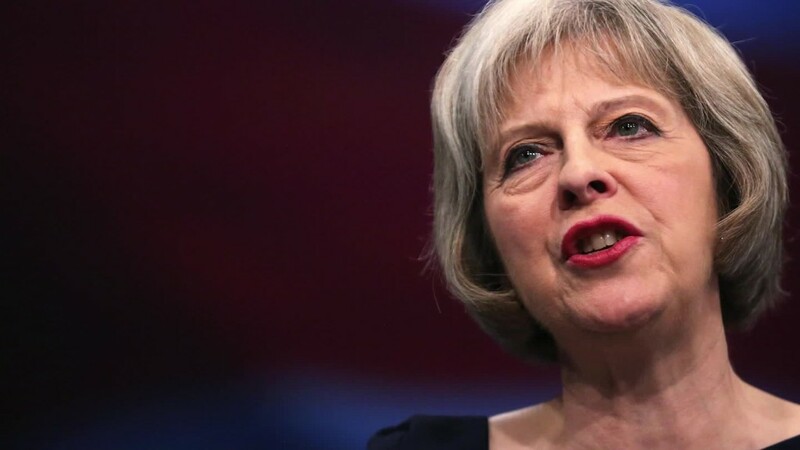 Prime Minister Theresa May said in January that she wants to negotiate a clean break with the EU and a new free trade deal at the same time. May has stuck to her guns, warning European leaders that she would rather leave the EU with "no deal" than a "bad deal." Crashing out of the bloc would force Britain to operate under World Trade Organization rules -- meaning new trade barriers and red tape. Deal or no deal, May will attempt to secure the best possible outcome for certain key industries including auto manufacturing, airlines and financial services. The financial and related services sector accounts for 12% of U.K. GDP. London is the world's No.1 location for trading in foreign currencies. London also handles about 75% of all trade in euro-denominated interest rate derivatives. Eurozone officials are likely to push for these transactions to be conducted within the EU. A deal that preserves some banking access to EU markets would be a major win. A failure could cost London thousands of well paid jobs and billions in business. If Britain crashes out of the EU and is forced to trade under WTO rules, automakers will face new tariffs on cars shipped to Europe, and higher costs on imported parts. Cars made in Britain get nearly 60% of their parts from outside the U.K. -- mostly from the EU -- and 56% of those cars are sold back into the EU. "No deal would be the very worst case for the U.K. auto industry and would put at risk the competitiveness of the industry" said Ford's (F) European CEO Jim Farley on Wednesday. Carmakers have already sought government assurances that they will be protected if Britain leaves the EU internal market. Nissan (NSANY) is said to have received some -- although the details have never been revealed. Airlines need an agreement by the middle of next year so they can plan their flight schedules for 2019. British airlines that want to continue to operate flights within the EU, for example from Germany to Italy, face another headache. They could be forced to establish EU subsidiaries and rework their ownership structures. The U.K. is an island nation but it still shares a land border with the EU. The Republic of Ireland is a member of the EU (and will remain so), while neighboring Northern Ireland is part of the U.K. Residents currently enjoy free movement across the border. Britain leaving Europe's single market, and its customs union, would present major new challenges in a region that was plagued by violence for decades. A new "hard border" could be the end result. Scotland is considering holding a second independence referendum to break away from the U.K. and maintain EU membership. 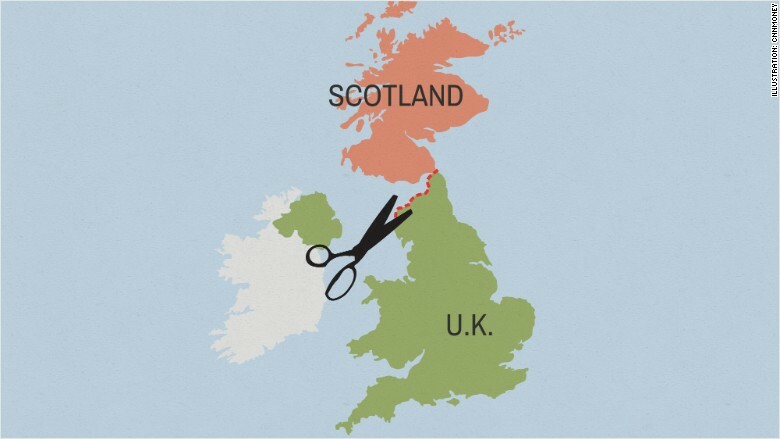 And if Scotland votes to leave Britain, the British Isles could be home to two EU land borders. Scotland held an independence referendum in 2014, with 55% of voters choosing to remain a part of the U.K.
Brexit may have changed the equation for Scots, however. The First Minister of Scotland, Nicola Sturgeon, has already demanded a second referendum. Scotland voted by a big margin against Brexit.